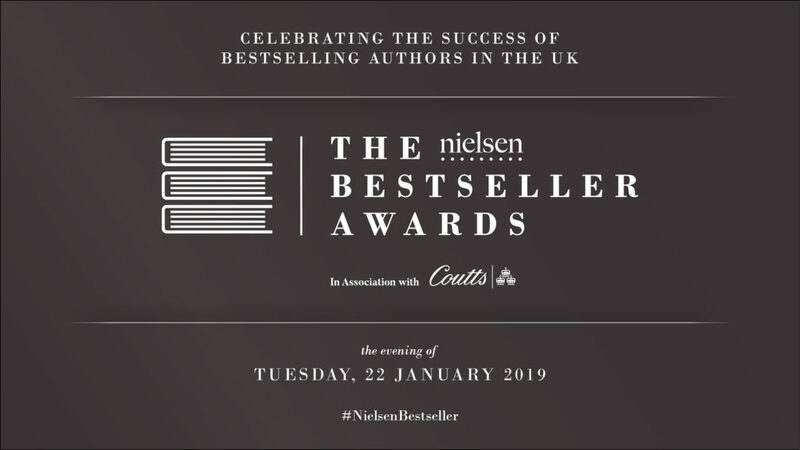 London, 22 January 2019 – Nielsen hosted its annual Bestseller Awards ceremony, in association with Coutts, to honour authors of the most successful books of 2018. 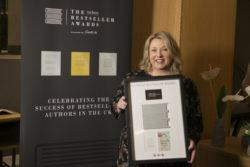 Held in the prestigious Coutts atrium, authors from across three primary categories – Fiction, Non-Fiction and Children’s – received top honours as measured by Nielsen BookScan and PubTrack Digital across both print and e-book formats for a title’s lifetime of sales. 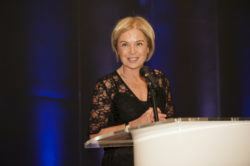 The awards ceremony was hosted by Mariella Frostrup. The awards categories are based on sales volumes – Silver (250,000 sales), Gold (500,000 sales), and Platinum (1,000,000 sales). 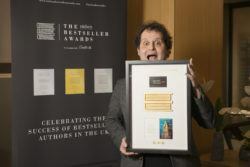 The authors being recognised have all reached significant sales milestones and have helped contribute to another robust year for the UK book industry, totalling 191m books sold last year to the value of £1.6bn. In total, 22 Fiction titles have reached either Silver, Gold or Platinum status. This year, the Platinum Bestsellers are dominated by Fiction titles with four authors honoured including Jojo Moyes for After You, Liane Moriarty for The Husband’s Secret, B. A. Paris for Behind Closed Doors and Gail Honeyman for Eleanor Oliphant is Completely Fine. Notably, Honeyman had a stellar year with her debut, achieving sales of 1.2m in 2018 alone – well in excess of the 1m sales required for a Platinum award. Honorary Platinum winners inducted into the 21st Century Hall of Fame are Francesca Simon and Tony Ross. The Children’s category boasted some of the most successful authors including David Walliams, receiving two Platinum awards for The Midnight Gang and Ratburger as well as two Gold awards for The Ice Monster and World’s Worst Children 3. David said of his multiple wins, “I am delighted to be honoured at this year’s Nielsen Book Awards for my children’s books and I’d like to say a huge thank-you to my readers for making it possible!” Julia Donaldson and Axel Scheffler brought home two Platinum awards for The Gruffalo and The Gruffalo’s Child and Roald Dahl’s The BFG and Charlie and the Chocolate Factory also achieved Platinum status. Liz Pichon continued her success, having been awarded three Silver awards in 2017, with three more Silver awards for 2018. Jim Field accepted a Silver award for Oi Frog! on behalf of himself and Kes Gray. Non-Fiction authors also received top honours. Jamie Oliver achieved Platinum status for 5 Ingredients – Quick and Easy Food while Michelle Obama’s Becoming and Adam Kay’s This Is Going to Hurt both received Gold.